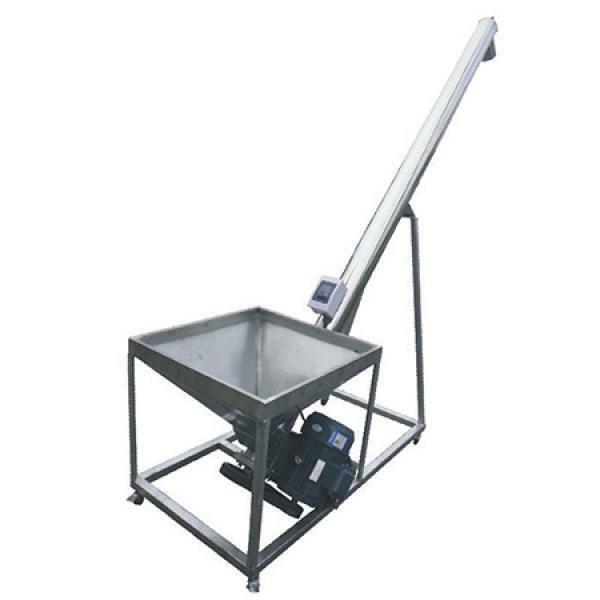 This screw feeder is mainly used for feeding plastic material.The screw loader is suitable for auto transporting powdery, and powdergranule compound materials.The screw loader can be connected and used with mixer and extruder.It is ideal for you to buy this machine with advanced design, easy operation, safe and reliable property, small size, light weight, high efficiency, low energy consumption, low noise and corrosion resistance. The screw rotation feeding machine is necessary machines for plastic processing mechanism.It can convey powdered plastic materials to hopper. Torched materials are made by stainless steel, in conveying process materials will not be polluted and nothing is caught in it Install is convenient and can be moved for example, if many a mixed machines use a kind of material,only one feeding machine is needed. It has many advantages such as safety, saving more time and labor. This machine can be combined with all sizes of extruder, high-speed mixer to feed powder or granules automatically. It provides the advantages of high automatic degree, fast loading, labour saving, safe and reliable performance. *Tube type and U shape type available. *It can be designed inclined conveying,horizontal conveying and vertical conveying. *Widely used for all kinds of powder,particles,small block and loose material. *not suitable for conveying perishable material,high viscosity,less pressure resistant material. *not suitable for agglomerate or high temperature material. *not suitable for fragile material. Tubular screw conveyors, also known as auger conveyor, are made for simple conveying duties applications.The real strength of our company,however,is our ability to produce individually designed units that include features to overcome awkward installations,materials that are difficult to handle,or include performance or process functions beyond simple conveying.Some requirements may be concerned with aspects of hygiene,others with bulk solids that have poor or delicate conveying properties. 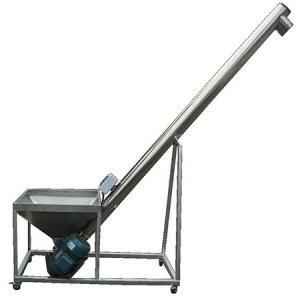 Tubular screw conveyor is suitable for non-sticky powder and small particle material such as cement, fly ash, lime, flour, starch, food additive etc.